Long road trips strike fear in the hearts of most parents. For us, they are just a part of family travel. My 6-year-old son has taken many long road trips. And when I say long, I’m talking 12+ hours long! We don’t have any problems with him being in the car for so long. Part of our success with this lies in these items which help to make our road trips pleasant for him and us. 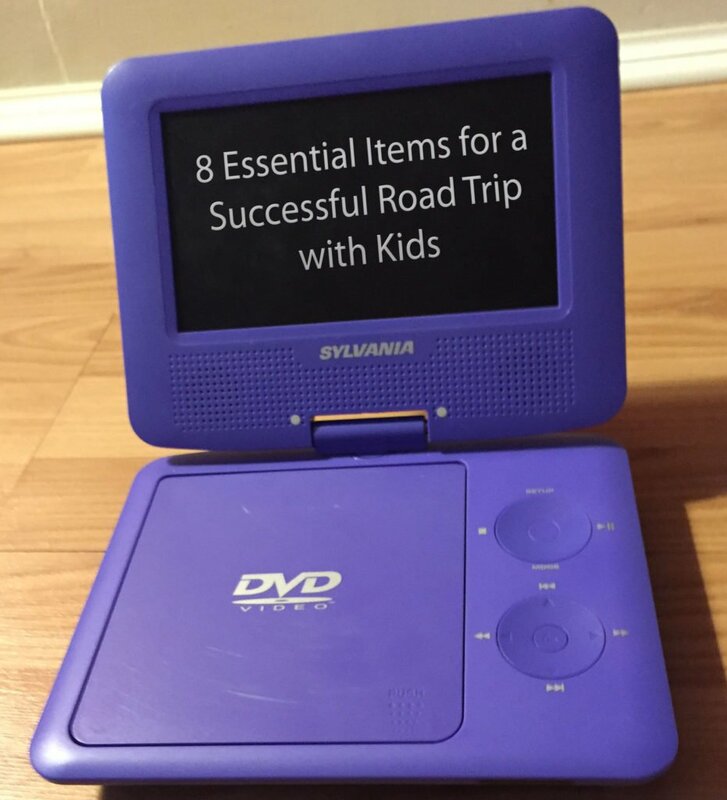 Here are the 8 essential items for a successful road trip with kids. Hopefully, these things will help you and your family to have better road trips in the future too. A few years ago, I made a lapdesk for my son to use in the car. It was pretty simple to make. The hardest part was finding the right size cookie sheet. I used a 1/4 cookie sheet because it is the perfect size for him to hold in his lap while sitting in his car seat. 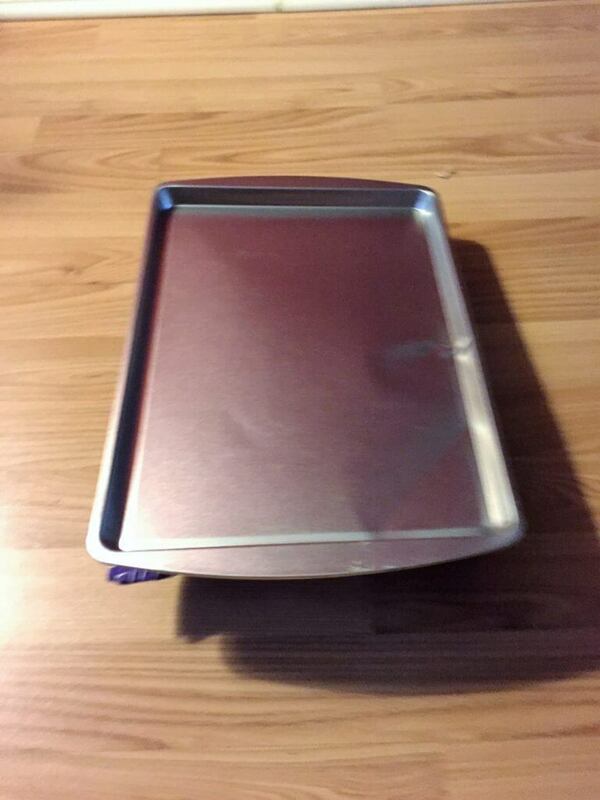 Once I had the cookie sheet, I made a simple pillow that was roughly the same size as the cookie sheet. Lastly, I attached the pillow to the bottom of the cookie sheet using velcro. I like this lapdesk better than others because of the cookie sheet. The small rim on it prevents crayons and toys from rolling off of it. Because it’s metal, my son can play with his magnets on it. It easily fits in his lap while giving him plenty of room to hold his DVD player, snacks, and anything else he may be holding while in the car. This simple item makes everything else he does while we are on the road so much easier, which in turns makes my life easier. This may be the greatest invention ever for road trips with kids! My mom bought it for my son several years ago. We have gotten so much use out of it! We have one made by Sylvania. I like it because it is small and lightweight. It is easy for my son to maneuver by himself. I also like that it has a swivel screen, so he can fold the screen down and the whole machine will lay flat in his lap. You can find the one that we have at Amazon.com. 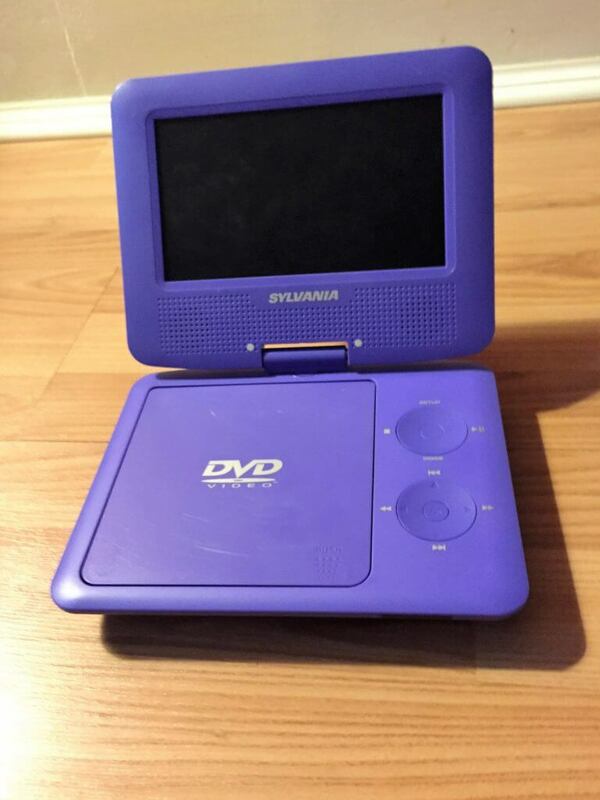 I know that some people these days have DVD players built into their cars. We intentionally do not have a built-in system. I don’t want my son to get in the habit of thinking he can’t be in the car without a movie to watch. He needs to be able to sit in the backseat for short periods of time without a screen in front of his face. So, I prefer the portable version better because it allows me to control when it is available and when it’s not. We only take it when we will be in the car for more than 2 hours. My son gets excited when he gets to use his DVD player because he doesn’t watch it on a daily basis. He spends the vast majority of long road trips watching movies on it. We may go hours without hearing him say one word! Like I said earlier, many of our road trips are 12+ hours long. So, it is important to have a variety of movies in the car for my son to watch when he is in his car seat for so many hours. Yet, I didn’t want to have to pack a pile of DVD cases each time we traveled. The solution I found is a cheap zippered CD case that will hold 20 or so DVD’s. I found the one we use at a local dollar store. It works wonderfully! Any parent who has gone through the toddler stage will tell you that small children LOVE watching the same thing over and over and over again! Kids’ ability to rewatch the same show is far greater than that of adults. I do not care to hear Frosty the Snowman 15 times in a row, especially when it is the middle of July! So, headphones for my son are a must for me to keep my sanity! He uses them when he is watching movies on the DVD player. When he is playing games on his LeapPad, he will also use them. Then, he can watch or play what he wants as many times as he wants while my husband and I can listen to the radio or talk. 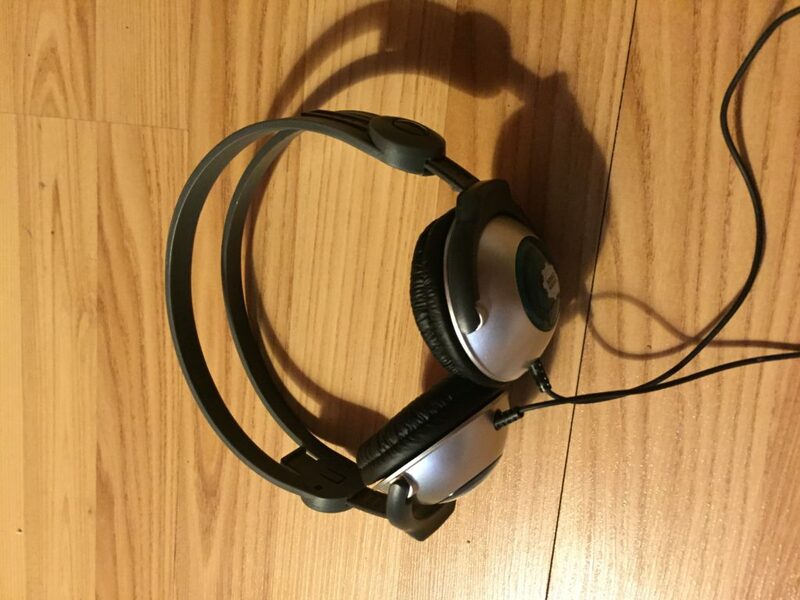 The headphones we have are made by Kidz Gear specifically for kids. They work great. We have been very happy with them. You can also buy these at Amazon.com. Eventually, my son will get tired of watching movies and want something else to do. This is when having the LeapPad in the car comes in handy. It allows him to play fun but educational games. So, I prefer it to other handheld games. Like I said before, his headphones work well with this device too. The LeapPad is something else that he rarely plays with unless we are on a road trip. Because of this, he doesn’t easily tire of the games that he has. The DVD player and the LeapPad together provide a good 17-18 hours of entertainment for him! 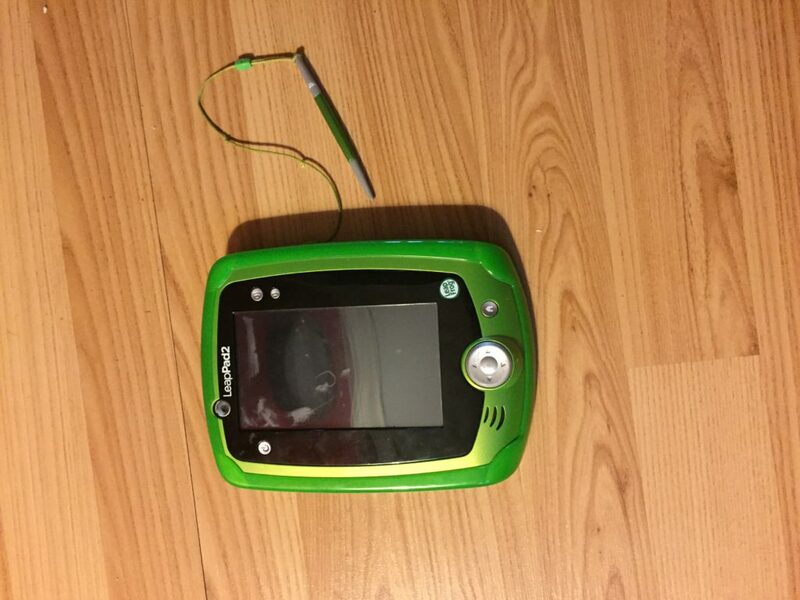 The only drawback to the LeapPad is that it doesn’t have a rechargeable battery. So, I have to make sure to pack extra batteries in the car! We have the LeapPad 2, which is great. We have also used a few other Leap Frog products, and have been pleased with all of them. The LeapPad 2 is probably my favorite, though, because it is the best for road trips. Amazon has the LeapPad 2 as well. Usually, at some point in our trips,my son will fall asleep in the car. Many times, we will leave in the wee hours of the morning, so he will sleep for the first part of the trip. Therefore, having a pillow for him is a necessity. 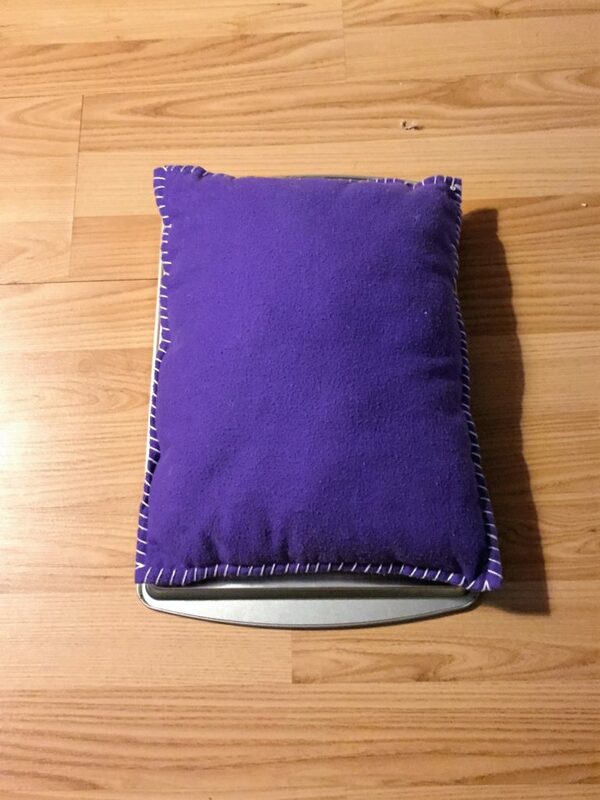 Several years ago, before he was born actually, I bought a small travel pillow in the airport in Las Vegas. 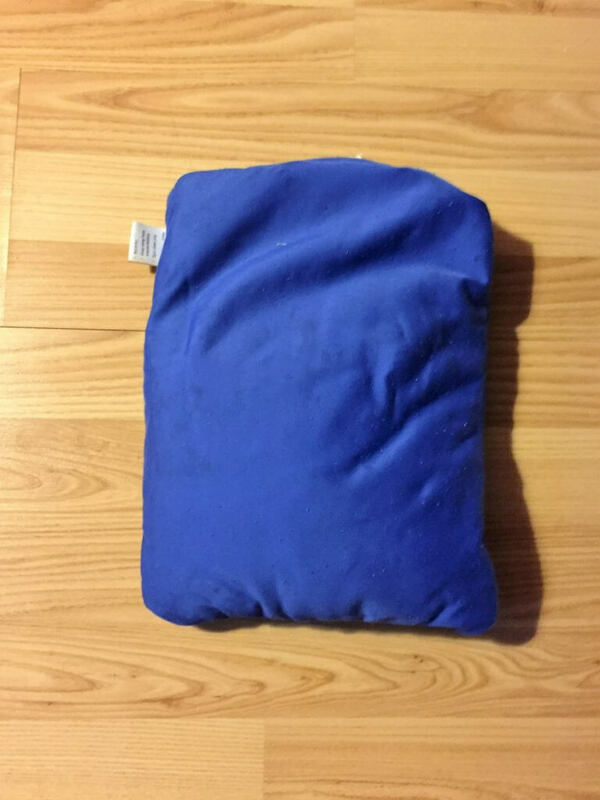 This is the best pillow for kids in car seats because it is small and flexible enough to place it between the child’s head and the head rest of the car seat. Once again, I love that it doesn’t take up much space. It is also great to use on airplanes! Lastly, having a a blanket in the car for my son is essential. We normally use a small throw that won’t take up a ton of space. He is usually more comfortable when he is sleeping if he has a blanket to cover up with. Sometimes, even when he is awake, he will want a blanket because he gets cold with the air conditioning on. Another plus of having the blanket in the car is that whenever we stop, I can use it to cover all of the valuables in the car so they are out of sight while left unattended in the car. This makes it less likely that our car will get broken into. When we are on a road trip, we try to minimize the amount of time that we are stopped. Whenever we stop, we all go to the bathroom, we fill up the car, and we get food. For meals, we prefer to do fast food in the car instead of sit down meals. It is difficult for younger children to balance all of their food while in their car seats, even if they are eating chicken nuggets. Many times, my son would struggle with holding everything, and I would end up getting in the backseat to help him. The food container is the solution I came up with to solve this common problem. It was a game changer for us! The idea of the food container is an idea that I modified from something I saw on Pinterest. Basically, this is a divided plastic container originally designed to store things like office supplies on a desk. The one that I use is Colorwave Smart Store 4-Compartment Tray, which I bought at The Container Store. I use it to hold my son’s food while we are in the car. It’s perfect for this job because of all of the divided compartments. Each one holds a different food item. The small compartments keep his fries, chicken nuggets, and apple slices from falling all over the place. If something spills, it can be easily wiped up because the container holds the mess. Because it is made of plastic, it’s easily washed up with no problem. It’s much easier for my son to hold one square container than several smaller items. 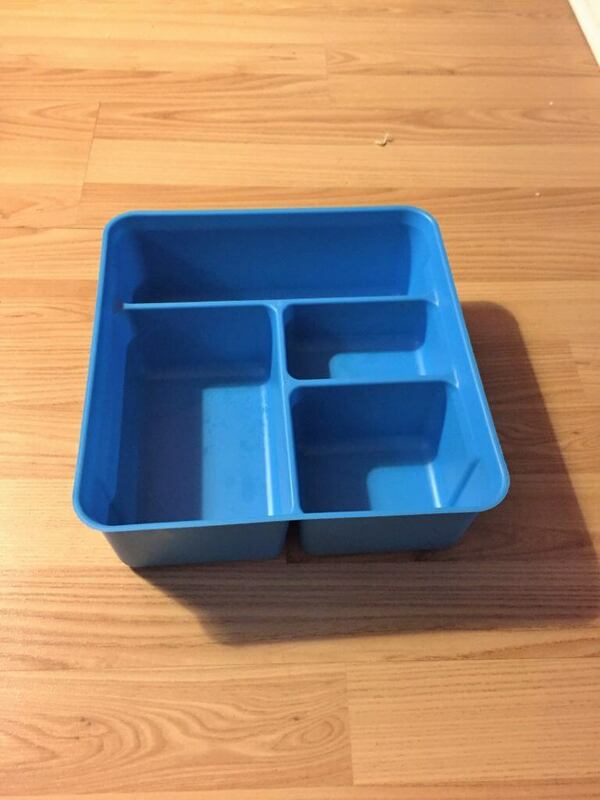 Most times, he will put the food container on top of his lapdesk which also helps him to hold it straight and level. Road trips with kids, even long ones, don’t have to be miserable experiences for parents! You just need to plan ahead, think about the needs and wants of you and your child while on the road, and pack appropriately. The above things are vital to us having a pleasant time in the car. Hopefully, these 8 essential items to a successful road trip with kids will help you on your next road trip too! Good luck and happy travels! Hi Christy! Great ideas here. I’m planning to travel soon with my little ones so this was a good read for me! I will definitely have to follow your blog. Hope you are doing well! Good luck with the blog! Hi Elizabeth! So good to hear from you! Glad you liked the blog. 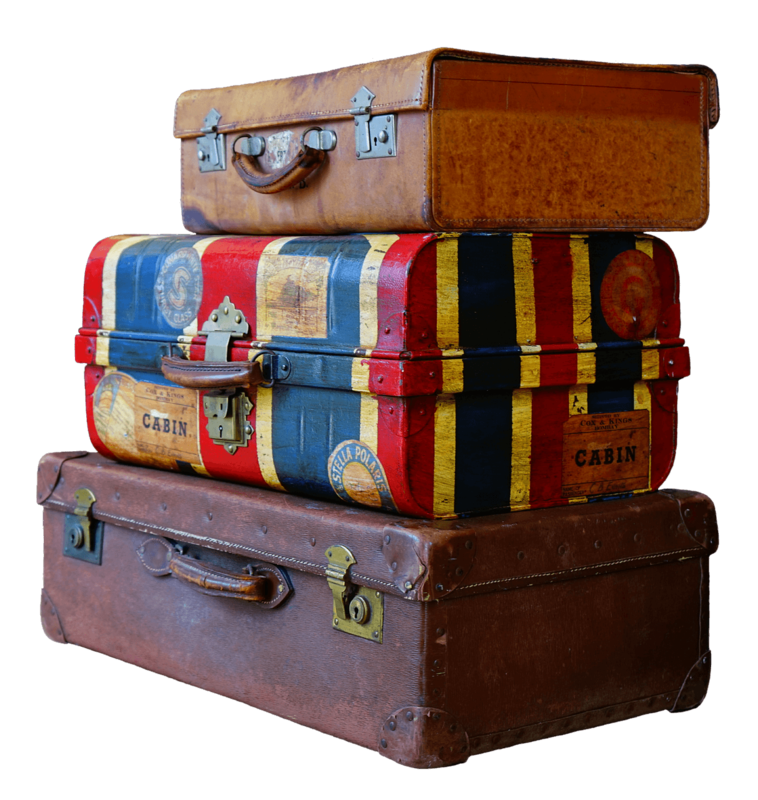 There are a couple other articles already on here specifically about traveling with kids. Be sure you look at those too. And keep coming back. I will be adding new content weekly. A lot of it will be focused on Disney World, but there will be some general travel with kids stuff too. My son is now 6 years old, and we have been taking him on road trips since he was 2 weeks old! So, I’ve learned a lot of tips along the way!